Hummm, karma, hope it hits hard and fast. Quote: The special prosecutor and grand jury investigating allegations that Attorney General Kathleen G. Kane leaked secret information to a newspaper have found evidence of wrongdoing and recommended that she be criminally charged, according to numerous people familiar with the decision. If the prosecutor decides to file a criminal case, it would represent a stunning fall for Kane, 48, who won in a landslide in 2012 to become the first woman and Democrat elected attorney general. Kane has denied breaking any laws in releasing the investigative material. "The Attorney General has done nothing wrong or illegal and, to my knowledge, there is no credible evidence that she has," her lawyer, Lanny J. Davis, said in a statement Thursday. "She told the truth to the grand jury at all times. I hope the district attorney will reach same conclusion." Kane's tenure has been marked by controversy over the last year, much of it generated by an Inquirer disclosure that she had secretly shut down an undercover sting investigation that had caught elected officials from Philadelphia on tape accepting cash. That case was resurrected by Philadelphia District Attorney Seth Williams, who charged a former Traffic Court judge and two state legislators with bribery. If Kane is arrested, she would become the second attorney general in modern history to face criminal charges. Earnest Preate Jr., a Republican, resigned in 1995 after pleading guilty to federal charges in connection with an illegal $20,000 cash contribution. Fina and Kane have been embroiled in a months-long dispute about how each handled cases, including the sting investigation. Fina, once the top public-corruption prosecutor in the attorney general's office, launched the sting in 2010, before Kane took office. Kane has acknowledged that she knew some material from her office was given to the newspaper, but said the material she approved for release was not grand jury information. Her allies have suggested that her staff may have erred by providing additional prohibited information without her knowledge. The Daily News article provided details of a 2009 investigation by state prosecutors that looked into financial matters involving J. Whyatt Mondesire, then the head of the Philadelphia chapter of the NAACP. Mondesire was never charged or publicly named as a subject of a probe until the Daily News story. He has said he did nothing wrong and has denounced the article and leak and the article as unfairly damaging to his reputation. The grand jury investigation of Kane was approved by former Chief Justice Ronald D. Castille of the state Supreme Court, at the request of William R. Carpenter, a Common Pleas Court judge in Montgomery County. Carpenter presides over a statewide investigative grand jury - one that looks into matters involving Philadelphia and surrounding counties - that is the successor jury to the one involved with the Mondesire matter six years ago. Carpenter, a former senior prosecutor in Montgomery County, appointed Thomas E. Carluccio, a criminal defense lawyer in Plymouth Meeting and former prosecutor in Delaware, as special prosecutor. Efforts to reach Carpenter and Carluccio were not successful Thursday. Castille, Carpenter and Caruluccio are Republicans. Kane has suggested the grand jury investigation was a partisan attack, a complaint rejected by Castille. Castille, who retired from the bench on Jan. 1, said he had approved numerous leak investigations during his 21 years on the high court. In ordinary circumstances, prosecutors from the Attorney General's office present cases to Carpenter's grand jury and the Attorney General's office later makes an arrest based on the panel's recommendation. In this unusual leak investigation, however, the judge handed Ferman the role of prosecutor because she is district attorney in the county in which the grand jury meets. Ferman, who is a Republican, is conducting an independent review of the grand jury presentment, sources say, a process that could take several months. Philadelphia lawyer L. George Parry, a former prosecutor, said it made sense for Ferman to dig into the facts independently. While arrest are typically made immediately after a presentment has been issued, Parry said, "This is really an unusual situation. "I wouldn't fault her at all for wanting to review this," he said. "They are dropping a real hot potato on her. If, in fact there is a presentment that calls for charging the attorney general of Pennsylvania, I would think that any responsible adult would want to read over things very carefully before committing to take on the case." I hope she resigns soon. A shining example justice is Kathleen Kane. 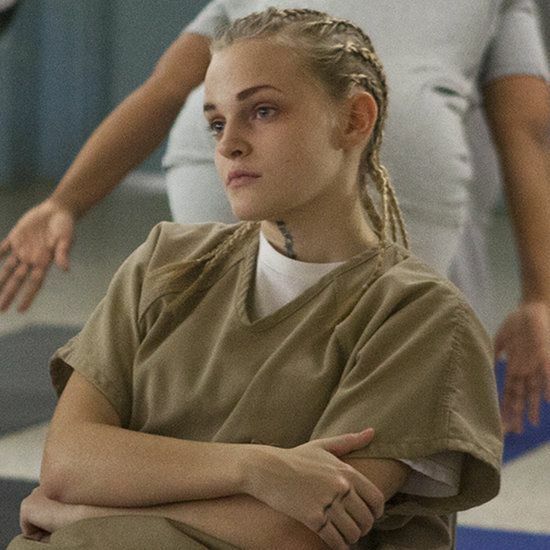 It would be pretty funny to see her in an orange jumpsuit with cornrows. Gee, now we just need to wait for the liberal DA's office to actually file the charges. I wouldn't be jumping for joy yet. I doubt this goes anywhere. streaker69;160004 Wrote: Gee, now we just need to wait for the liberal DA's office to actually file the charges. She's a republican. I think she'll charge. The prosecutor shouldnt be able to reverse a grand jury indictment. Ten*K;160008 Wrote: The prosecutor shouldnt be able to reverse a grand jury indictment. There's no indictment yet. I made the same mistake thinking "oh there's an indictment". PA criminal procedure certainly gives GJ's the power to vote for an indictment, but they don't have to be posed that question really. They can be given whole menus of questions (think he's guilty of 3rd degree murder? What about manslaughter?) The prosecutor calls the shots on a GJ and it's a one-sided show, really. There's a procedural step where the DA or special prosecutor still has control after the GJ makes a finding---they can elect to not file the formal criminal complaint and instead withdraw instead moving on to arraignment and ask for the arrest order. It's only recently that grand juries in Pennsylvania have had the ability to indict at all. Before, that was not possible and the standard procedure was (and still is in most counties), to hold pre-lim and present in front of a criminal judge; the same one who usually will also hear the trial, with no jury at all until trial. This explains the diff. between prelims and grand juries pretty well.